Since its launch in 1996, the al-Jazeera channel has stirred up an endless debate owing to its high level technology and human resources, as well as its modern quick-paced coverage and analysis of the news, which contrasted with the performance of other Arab State-owned channels. 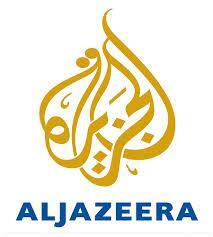 All these elements helped put al-Jazeera ahead of other channels available to Arab viewers. But when viewers in Egypt woke up to al-Jazeera’s flagrant bias towards the Muslim Brotherhood (MB) once the MB president Muhammad Mursi was ousted on 3 July, and the channel became the main platform for justifying the MB atrocities, the name al-Jazeera became a joke in Egypt. Since the massive rebellion by Egyptians against the Islamist rule of Mursi on 30 June, al-Jazeera appears to have lost all professionalism and expresses only MB viewpoints. This has amounted to flagrant falsification and exaggeration of the facts; amplifying the numbers of Mursi’s supporters and downplaying those of his opponents, and causing a great number of Egyptians to disbelieve the channel. Among its recent biased works has been the channel’s reporting on the Copts of the village of Dalga in Minya, Upper Egypt, who suffered most during the Islamist rampage against the Copts on 14 August. Several of the villagers, as well as Church sources, called Watani to complain that they were being coerced by the Islamists in the village into saying it was not the Islamists who attacked them. They were being threatened that if they accused the Islamists, they would be made to pay for it once the al-Jazeera team left. Other Copts complained that the TV channel was using the testimony of the Copts who lived far from the scenes of the attacks and had thus escaped unscathed to make it appear that Dalga’s Copts did not suffer. Watani here attempts to look into the phenomenal al-Jazeera through reviewing a number of books published on the channel. The book Aljazeera and Qatar – Discourse on Politics and Policies of Discourse by Muhammad Abu al-Rab, media professor at Birzeit University, was published by Abu-Ghosh Publishing House in Jerusalem in 2012. Abu al-Rab looks at the role of al-Jazeera in adopting a regional and international platform for Qatar that far exceeds its political size. This is realised through al-Jazeera’s controversial coverage of events in the Middle East, specifically their dramatic handling of the Palestinian issue. The principle of “opinion and the other opinion”, according to Abu al-Rab, is to all effects absent in al-Jazeera’s concept. The other opinion is always ready to serve the channel’s goals: allocating more time for specific coverage at the expense of ‘the other’, as well as the kind of questions that in the end convey the channel’s viewpoint. The book contains five chapters: the first is a theoretical introduction of monitoring the influence of television on forming public opinion, while the second reviews the ties between Qatar and al-Jazeera: its foundation, funding, policies, and differences between al-Jazeera in English and Arabic, as well as the hidden relationships that govern al-Jazeera and Qatar. The third chapter monitors and analyses al-Jazeera’s coverage of the Palestinian file, while the fourth researches Qatar’s use of al-Jazeera’s coverage and its role in highlighting Arab conflicts, thus giving Qatar a regional voice. The last chapter concludes the analysis of al-Jazeera’s role in propagating Qatar as a role model of an influential and powerful country in the Arab region. Le Vilain Petit Qatar…Cet ami qui nous veut du mal (The Ugly Little Qatar… the friend that wishes us evil) is another new book by two French journalists: Nicolas Beau and Jacques Marie Bourget, who look the reasons behind the foundation of al-Jazeera or, to use their expression, ‘the TV that owns a State’. The idea of launching al-Jazeera, the authors say, was not a brainchild of Prince Hamad, who himself is regarded as a brilliant man, but rather it was a logical result of the 1995 assassination of the Israeli Prime Minister Yitzhak Rabin. Following the assassination, the writers say, the two French-Jewish brothers Jean and David Frydman did their best to promote peace between Israel and Palestine by persuading the Qatari prince to establish a TV channel to serve that goal. Prince Hamad found the idea both served his interests and opened the Arab world up to Israel. The book reveals a number of al-Jazeera’s policy secrets for achieving its goals. Among the pieces of information collated by the authors is that appointing a Libyan, Mahmoud Gebril, as a consultant for the channel was—in their view—an attempt to turn events in the Middle East. Under the title Al-Jazeera is Not the End of the Journey, the TV presenter Lina Zahr Eddin tells of her experience with al-Jazeera. Zahr Eddin handed in her resignation when she discovered what she said was the channel’s biased reporting, and that it channeled massive financial resources into media messaging. “Every media channel has its own political agenda,” Abu-Zahr writes, “but there is a big difference between conveying messages and inciting and mobilising. This is how al-Jazeera has turned to be a striker in the region.